For industries that rely on steam as an integral part of their process, more horsepower is not always needed to meet increased demand – even when existing boiler capacity just cannot keep up. As is true of many manufacturing facilities, when steam demand fluctuates up and down throughout the day, the ability to ramp up quickly to meet that kind of demand just isn’t there. That is where their boilers are letting them down. They may have all the capacity in terms of the horsepower that they needed. But their boilers just aren’t capable of a fast response to the kind of up and down demands they’re subjected to. The question is, do you add another boiler to increase capacity or replace all the boilers with a different kind of steam producing technology that would basically have the same capacity? In these situations, the two most critical factors in calculating the best answer to this question are recovery time and energy efficiency. Unfortunately, growing companies succomb to the inefficient solution of adding more and more capacity when what they need is better technology. To address this problem, Miura Boiler, Inc. has developed boilers that can be turned on and off like light bulbs so they are always operating at peak efficiency for greatest energy savings and fastest response to fluctuating demand. They are designed for steam starved, volatile demand processes. 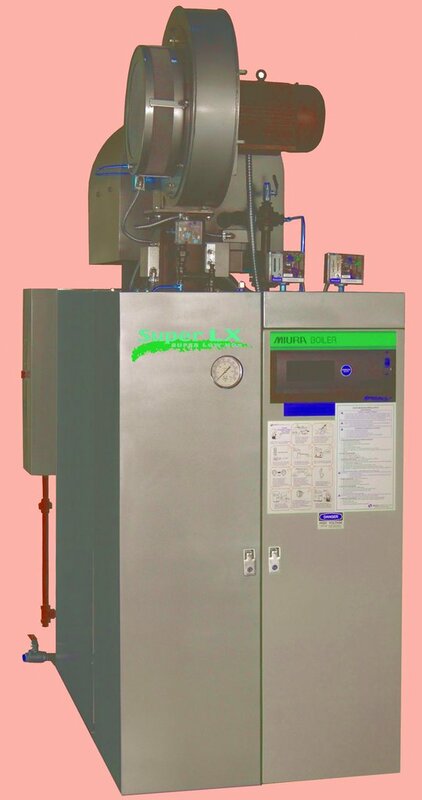 The fuel-to-steam boiler efficiency of Miura boilers remains consistently high (85%+) at all steam loads from 35% to 100%. Since steam load is constantly fluctuating, Miura’s consistent efficiency provides consistent energy savings. A major contributing factor to their 85% fuel-to-steam efficiencies is Miura Boiler’s ‘low water content’ water-tubes’ surface serration that optimizes heat transfer. Next articleOne more time! Magic moments at The TFM Show!